DVI Aviation is premier provider of aerospace education and training services. Our world-class staff includes Aviation Faculty from Lewis University, Engineers from Beechcraft and Boeing, and retired mechanics from Southwest, United, and American Airlines. All of our instructors have a passion for teaching, and a commitment to see our clients succeed. 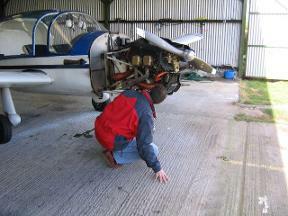 DVI Aviation also has on staff FAA Designated Mechanic Examiners (DME). If you have the requisite background and training, either on-the-job practical experience or from an accredited educational institution, we can help you achieve your official FAA A&P certification. DVI has been an Aviation Industry leader for over a decade. We are fully accredited to certify and have a program to help students take that final step to full FAA certification. Visit DVI Aviations's website for A&P certification. Pilots and Owners must know how to determine if an aircraft is airworthy and safe. The FARs are very specific as to this responsibility. § 91.7: The pilot in command of a civil aircraft is responsible for determining whether that aircraft is in condition for safe flight. § 91.403: The owner or operator of an aircraft is primarily responsible for maintaining that aircraft in an airworthy condition, including compliance with part 39 of this chapter. Call Today for Course Schedule and Pricing!